A bill has passed in the U.S. Senate to award Congressional Gold Medals to the women who are famously portrayed in the movie Hidden Figures. 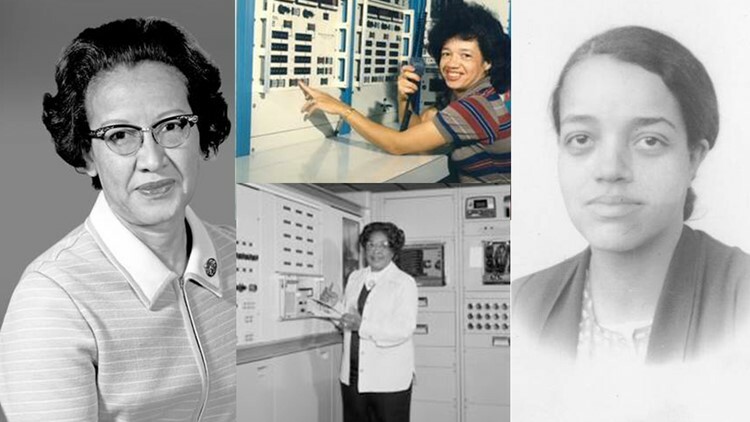 WASHINGTON D.C. (WVEC) — A bill has passed in the U.S. Senate on Thursday to award Congressional Gold Medals to the women who contributed to the success of the National Aeronautics and Space Administration during the Space Race. The Congressional Gold Medal is the highest civilian award in the U.S. Senators. Mark R. Warner and Tim Kaine from Virginia introduced the bill to award Congressional Gold Medals Katherine Johnson and Dr. Christine Darden, to posthumously award Congressional Gold Medals to Dorothy Vaughan and Mary Jackson, and to award a Congressional Gold Medal to honor all of the women who are famously portrayed in the movie Hidden Figures. The Act is being called the “Hidden Figures Congressional Gold Medal Act.” The Act moves to the house next, then, if passed, the President's desk to be signed. In 1935, the National Advisory Committee for Aeronautics (NACA) hired 5 women to serve as the first “computer pool” at the Langley Memorial Aeronautical Laboratory where those women took on work making calculations that male engineers had made previously. It wasn't until the1940s that NACA began recruiting African American women to work like computers. Initially, these women were separated from their white counterparts in a group known as the “West Area Computers,” where the women were restricted to segregated dining and bathroom facilities.